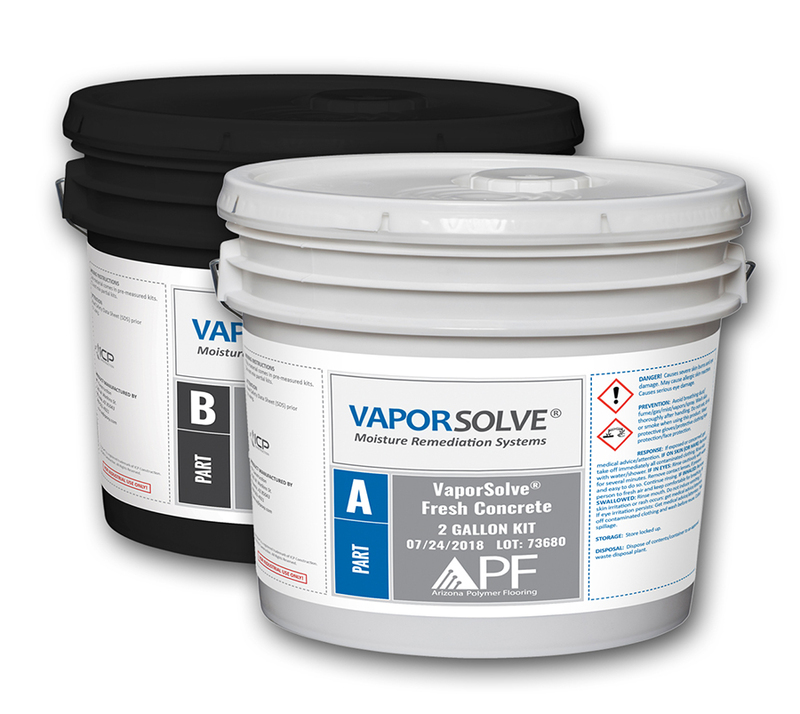 VaporSolve® FC (Fresh Concrete) is a specially formulated water-based epoxy for use over freshly poured concrete to act as a high-performance concrete curing compound and as a primer under VaporSolve™ 100 material. VaporSolve® FC has been formulated with very low viscosity and surface tension to ensure excellent substrate wetting, penetration and adhesion. It’s unique chemistry gives it excellent affinity for the moist, alkaline conditions found in freshly poured concrete. Additionally, it’s ability to hold moisture in fresh concrete far exceeds the capabilities of conventional curing compounds and results in better hydrated and stronger concrete. When applied as a system, VaporSolve® FC and VaporSolve® 100 prevent moisture migration through the concrete slab and allow the application of moisture sensitive flooring after 12 hours. The use of this unique system eliminates the need for a sub-slab vapor retarder as well as the need for shotblasting prior to the application of subsequent flooring or coating.